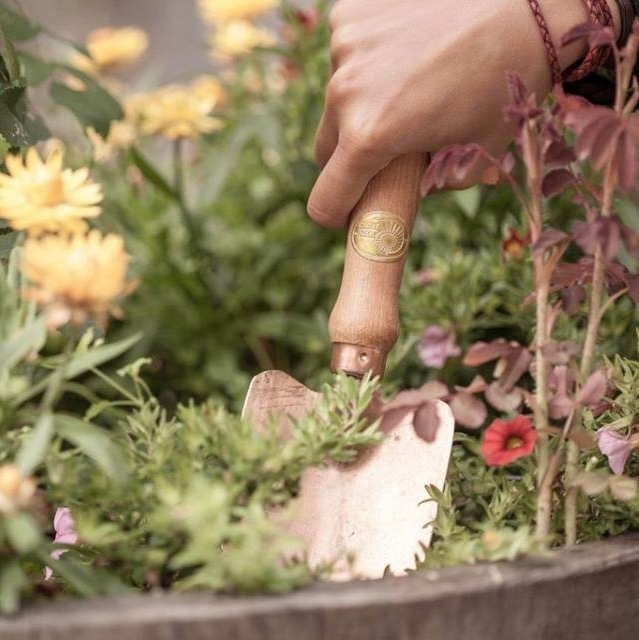 Copper gardening tools enrich the soils with coppertrace elements and thereby provide plants with essential nutrients. They are hardwearing and will last for years. Copper tools stay free of rust – but age with a graceful bronze patina, perfect for the coastal gardener and they have a longer lifespan than tools made from iron. Viktor Schauberger came to the assessment that cultivating the soil with copper implements would be more beneficial to the Earth and lead to healthier plants. In his writings, he listed several reasons for this such as : Minute amounts of copper create the conditions for beneficial micro-organisms. Slugs do not like copper. Copper is not magnetic - so does not disrupt the electrical fields in the soil. Copper tools can be kept sharp with a whetstone, file or by peening (hammering the edge against a steel anvil).